This is an important tutorial on how you can easily “speed up” and optimize your Windows computer without doing extremely complicated tweaks. The objective is to work perfectly when using the computer as a digital audio workstation. Doing complicated tweaks in Windows system can be very risky as it can render your system useless if you commit a serious mistake or your system is not compatible with the changes. This is written primarily to a beginner/novice or expert in digital audio workstation and these tips can be applied to any DAW software you are using. These tweaks help me to speed up my Windows XP computer a multiple times as compared before the tweaks. So whenever I do some multi-track recording session, I did not get drop-outs, pauses, hang-ups like what I have experienced before the tweaks. This tutorial is both applicable to Windows XP users and some tips can be applied to Windows 7 provided the features are still supported. First Tweak: Turn on the “Best performance” mode. You need to go to Control Panel – Right click on “System” – click “Advanced” tab – Under Performance click “Settings”. Under “Visual Effects”, make sure you have clicked “Adjust for best performance”. And then click OK to apply. Second Tweak: Make sure DMA is turned on. In Control Panel, right click on “System” and then click open. Click “Hardware” tab. Click “Device Manager”. 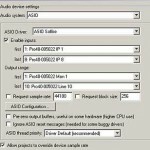 Expand “IDE ATA/ATAPI Controllers”. 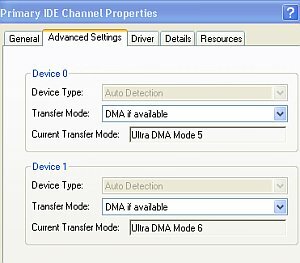 Right click on Primary IDE Channel and click “Properties”. Click “Advanced Settings”. Make sure the “Current Transfer Mode” is set to DMA mode. For example, in the screenshot below, the current mode is “Ultra DMA Mode 5”. This is true for Device 0 and Device 1. 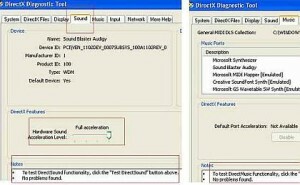 What is not good is to have PIO mode as the current transfer mode as this will drastically affect the audio performance of your computer. In the above example, Drive C is set to no paging file. Other Drives such as K and L does not have paging file. 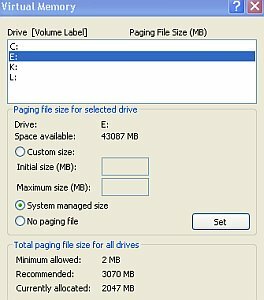 Only Drive E has a page file set to “System Managed size”. 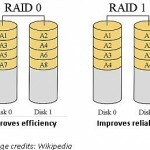 Make sure there is a lot of spaces on Drive E and there are no programs installed on that drive. Go to Control Panel and then click “Sounds and Audio Devices”. Click “Sounds” tab. And change the “Sound scheme” to “No Sounds”. Click Apply to implement. Temporary files in your Windows computer can clog up and will slow down your system. Make sure you delete all temporary files on a daily basis. The easiest way is to use CCleaner. 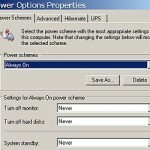 Not all Windows services are important to turn on. Turning on a lot of Windows services can significantly slow down your system particularly if you are using your computer for audio recording. These are the Windows services that I have set to “Automatic”, “Manual” or “Disabled”. It works for me very well. My system is running at 2GB RAM and 2.4GHz processor. So if you have much better specs, then it’s expected your computer should run a bit faster and efficient to be used for DAW (Digital Audio Workstation). Seventh Tweak: Defragment all your Windows hard drive partitions once a month. Go to “My Computer” and right click on the Drive and click “Properties”. Go to “Tools” and then click “Defragment Now”. Proceed with the analysis and start the defragmentation. Eight Tweak: Make sure all your audio devices are set to “full hardware acceleration”. Go to Start and click “Run”. Type dxdiag and then press enter. a.) 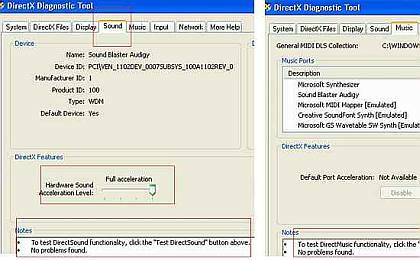 Go to “Sound” tab and make sure the “Hardware Sound Acceleration level” is set to “Full acceleration”. And under notes, it should say “No problems found”.